Poor Jens. It’s half-way through the summer and he still can’t seem to find a girlfriend. So his friend suggests he try a local speed-dating event. He just has to show up, talk to each woman for two minutes, and decide if any of them seem like a good match. 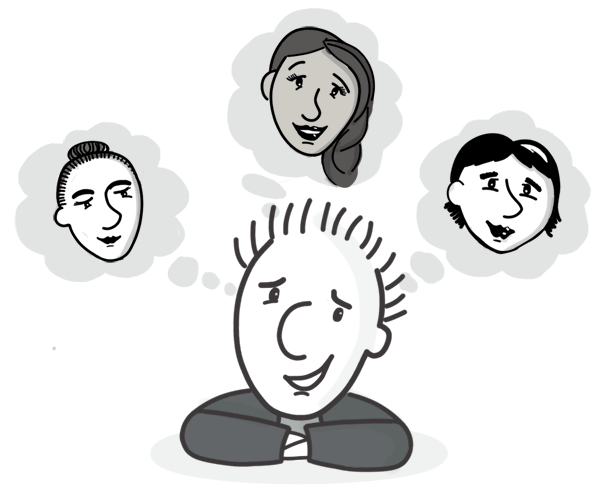 He decides it’s worth a try, but he’s going to need some help planning what to say. It will also be important to know how to tell people your name using the verb heißen. Watch out! That's one of those weird ß characters we talked about in an earlier lesson. You’ll also need to learn this essential verb for describing where you are from. Did you see that both heißen and aus kommen use those "normal" verb endings that we talked about in our introduction to verbs? So those endings should be looking pretty familiar by now. Jens figures an essential part of speed dating should be talking about what he likes to do for fun. Jens has two minutes to impress his speed-dates. Which of these lovely factoids should Jens tell the ladies? Should Jens say this? Ja, nein, or vielleicht? What about this? Is it a good thing to say? Ja. Jens is saying "I am friendly." 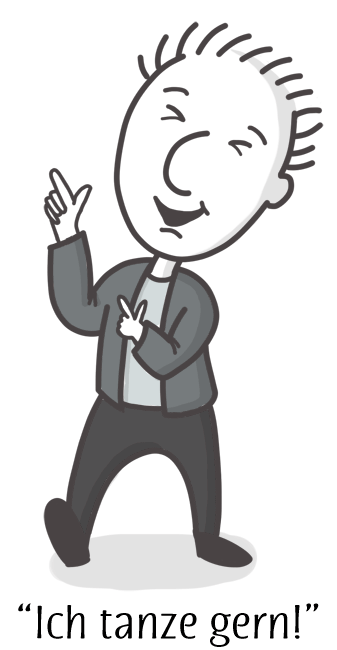 Everyone likes a friendly dude! Will the ladies be interested if he says this? Nein. Jens is saying "I am poor." Probably not your best opening line, Jens. How about this? Should he say it? Ja. Jens said "I am romantic." This is a good thing to say. "Ich spiele gern Karten mit Oma." Vielleicht. Jens said "I like to play cards with Grandma." Some girls might like that, and some might think it's nerdy. Will the ladies like this? Ja. Jens said "I like to dance." Dancing is way cooler than playing cards with Grandma. Ja. Jens said "I like to play tennis." Tennis is great! It's like ping pong for giants. Time to meet the ladies! It's time to hear what Jens's speed-dates have to say about themselves! Listen to each one and help Jens decide if any of them seem like a good match. "Hello! 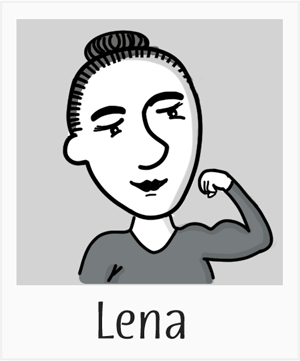 My name is Lena." Ich spiele gern Fußball und Rugby. "I like to play football (soccer) and rugby." Guten Abend. 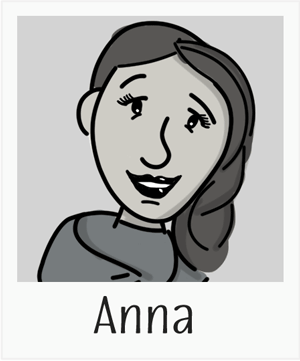 Ich heiße Anna. "Good evening. My name is Anna." "I like to play chess." "Hello. 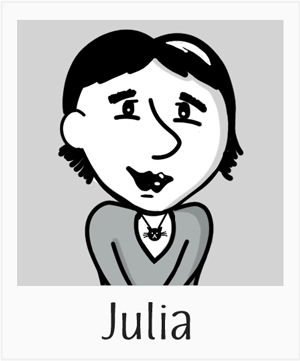 My name is Julia." Ich spiele gern mit meinen Katzen. "I like to play with my cats."